The Evolis Securion caters to the growing need for security and fraud control and produces cards that will last significantly longer. 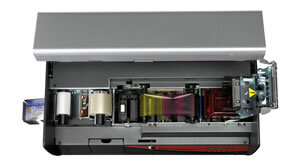 Securion comes with a colour print module and a laminating station, both operating in dual-sided mode. It takes just one pass to print, encode and laminate a secure card. 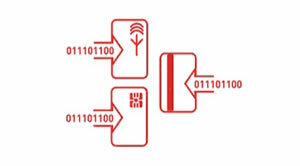 Below is an introduction video demonstrating the features of the Evolis Securion ID Card Printer. Evolis Securion, full colour printing with lamination station that can either use over-laminates or holograms to further protect and secure your ID cards. 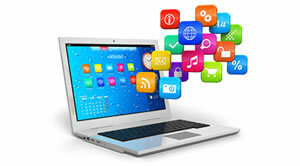 Card Design Software, The Securion is compatible with Cardpresso and eMedia Card Design software. No software is supplied with the Securion Card Printer. 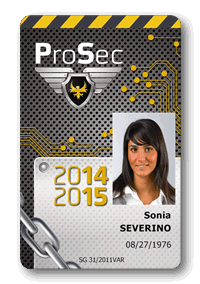 Secure ID Cards, with many security features available the Securion can personalise and protect identity cards. Multiple Encoders, the Securion can be fitted with multiple encoders to allow combination security. 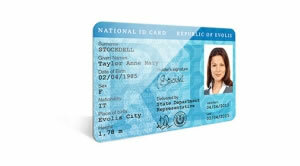 The Securion is a robust printing solution to cater for secure ID card production.